My October 2009 newsletter is now available. Some Last-Minute Halloween Suggestions - for Next Year, Perhaps? I haven't bought my Halloween candy yet; I was planning on doing that today. But having just read about Books for Treats, I'm having second thoughts. I've been meaning to thin my collection of children's books; rather than selling or Freecycling the ones I no longer want, maybe I'll give them away at Halloween instead! Our experience is that kids, as well as their parents, are thrilled by receiving books for treats. They are much more enthusiastic than we have ever seen them when we gave candy. We have witnessed many children running to the sidewalk waiving a new treasure yelling "Mom, look! I got a book!" We also saw a group of kids standing on the sidewalk showing each other their books. 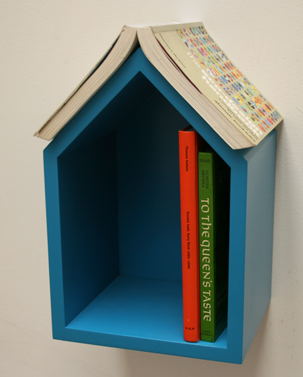 And we heard one girl greet a friend coming from the other direction "Hey, this house gives books! Cool!" If you'd prefer not to give candy - not even tasty fair trade chocolates like this or this - and the book idea just isn't your thing, you can see a list of other options from Green Halloween and The Lemonade Stand. 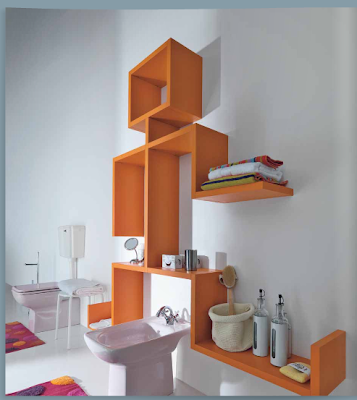 If you're going this route, pick carefully so you don't create clutter in someone else's home! I especially like the Lemonade Stand list because it focuses on craft supplies - a consumable, and something that most families I work with would certainly appreciate. He or She is History: Now What About the Stuff? The main point of the exhibit is to get rid of these painful reminders in a public way. 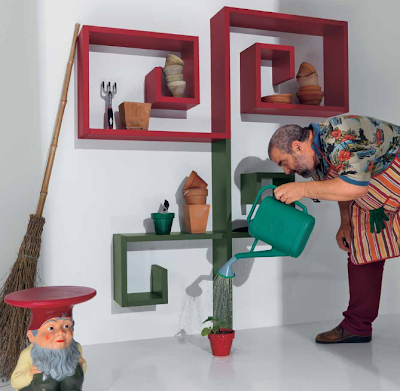 Therapists say that the idea is also good from a psychological point of view. They explain that giving away things that remind us of our ex-partners is the first step towards ridding the heart of its pain and a way of doing something creative with it. The museum has everything from romantic and touching letters to different gifts given to lovers like teddy bears and photos, but also such unusual examples as leg prosthesis donated by a war veteran who fell in love with his physiotherapist or a gall stone. Every single object on display is anonymous, and has a description / story related to the relationship. Want to participate without waiting for the exhibit to arrive in your area? You can mail off your contribution to Croatia! 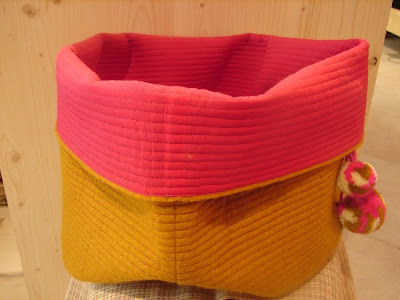 This felt basket comes from Muskhane. And this felted basket comes from Én Gry og Sif. 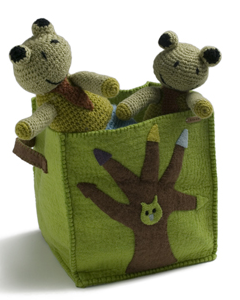 You can also find some of the company's felted baskets here. On a separate note: This is my blog anniversary; I published my first post on Oct. 27, 2006. My thanks to everyone who has supported me these past three years! While many people are giving up on watches and just using their cell phones for determining the time, some of us still like to wear a watch. And some of us, with older eyes, like simple easy-to-read watches - ones that don't have a lot of other functions, but still have a bit of pizazz. Another lovely watch is the Longines LungoMare model L35094762. 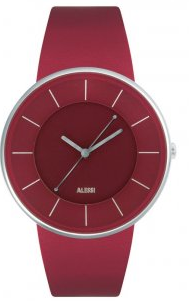 And then there's the Luna watch from Alessi, available from Unica Home and Emmo Home (among others). If someone else knows of another watch along the same lines, please let us know in the comments. We want to do the right thing, and keep reusable and toxic materials out of landfill - but we also have busy lives. So anything that makes recycling easier is a good thing! So I was delighted when Mary Key consultant Viv Tracy told me about the Mary Kay program using the postage-paid envelopes shown above. (Mary Kay pink! Easy to spot!) You can recycle both printer cartridges and cell phones through this program. Mary Kay has partnered with Access Computer Products Inc. Since the Access web site doesn't (yet) have much information about how they do their recycling, I called the company and spoke to someone, and I'm now comfortable that their practices are indeed responsible; you won't be contributing to the problems described in my earlier post. 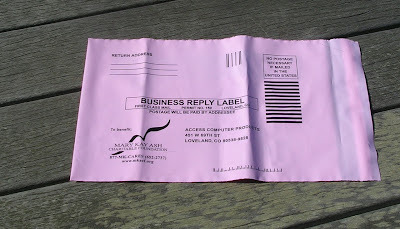 Other organizations offer similar programs; for example, the Royal Society for the Protection of Birds has the RSPB Recycling Appeal which uses Freepost envelopes. 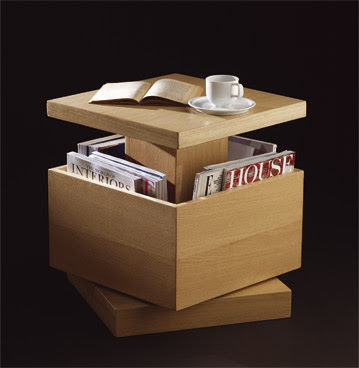 Looking for a very special way to save and display your current - or special - magazines? 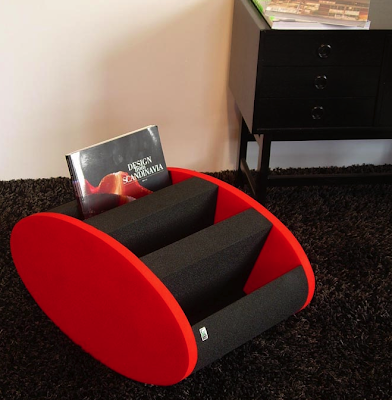 This revolving magazine rack/table might do! But there are a number of other very nice choices, too. Update on April 16, 2014: I'm no longer finding this product, which seems to come from Usha Lexus in India, available for sale on any websites. 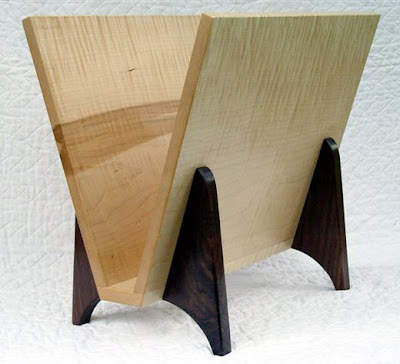 Staying with beautiful wood pieces, let's admire this magazine rack from Niels Jensen of Quebec. 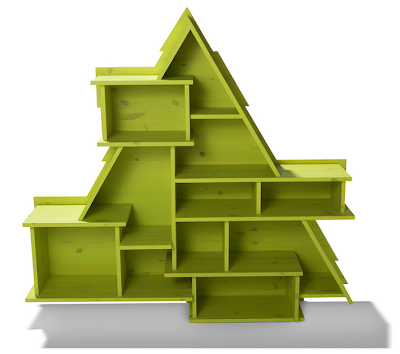 And here's a magazine tree from Indiana for Modern. Update on March 5, 2011: I'm no longer seeing this piece on the Indiana for Modern web site. 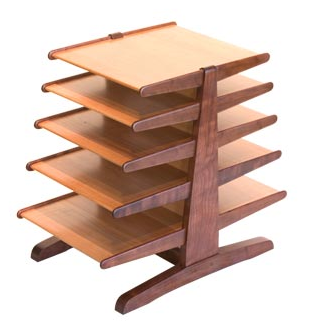 But here's the piece it seems to have been based upon: the Edward Wormley for Dunbar magazine tree stand rack, from the 1950s. 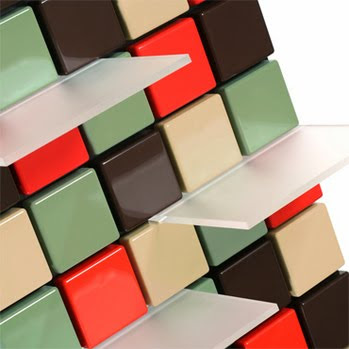 For a very different approach, see the Motion magazine stand from Innersmile. 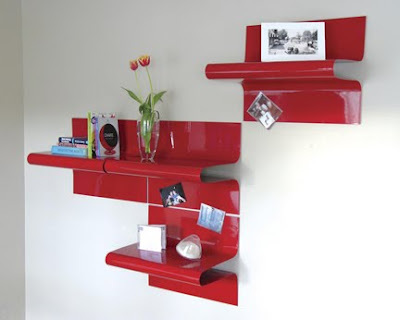 [via netspaze] Update on March 5, 2010: You can buy this magazine rack directly from Innersmile. 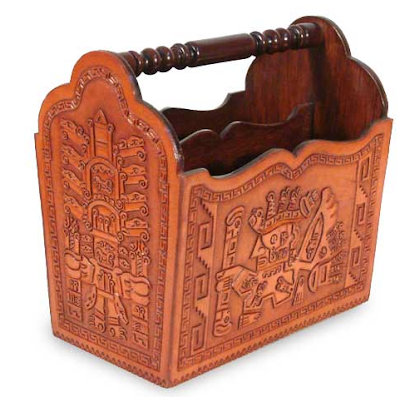 And finally, here's a leather magazine rack - one of a number made by the Asis family. Jason, you're in luck; a number of companies make products that might work for you. 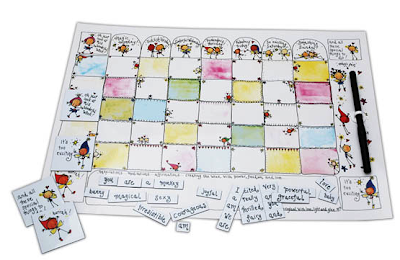 If you happen to live in the U.K, you can get the Gripping Stuff dry erase calendar (sold online here). 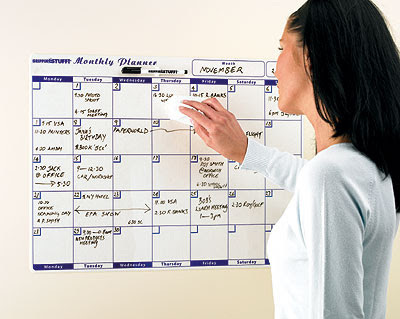 Customized Creations can make you a magnetic-backed dry erase refrigerator calendar using stock photography or one of your photos. 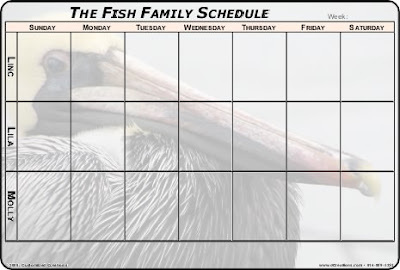 You can get a number of formats, too - including a standard monthly block, a weekly calendar with name rows like the one shown above, and more. More Time Moms has a family magnetic calendar. 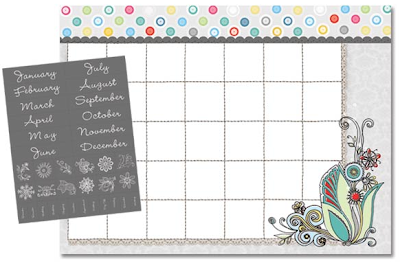 Adornit Decor has a number of lovely dry erase magnetic calendars. [via ListEn iN] Update on Oct. 28, 2010: I'm not finding these calendars any more. And then there's the Juicy Lucy magnetic fridge planner. Update on Oct. 28, 2010: The Juicy Lucy web site says this product is not available. The final two planners aren't what Jason wanted - they are pads, not dry erase boards. But maybe they will work for someone else! 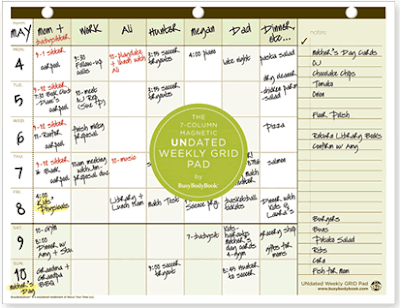 BusyBodyBook has magnetic 7-column undated weekly grid pad, with 52 pages. Update on Sept. 30, 2014: This product is no longer available. 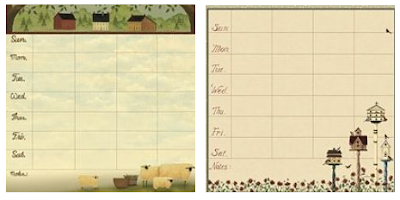 And Lake Erie Gifts & Decor has magnetic weekly reminders in four different patterns; each pad has 55 sheets. Update on Sept. 30, 2014: It doesn't seem that these were sold after calendar year 2013. 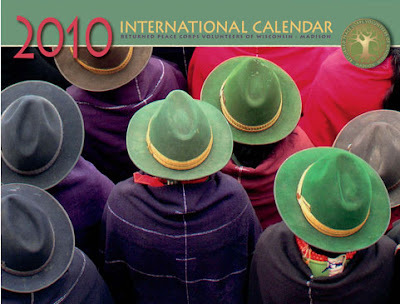 Update on Oct. 28, 2010: Although this post features 2010 calendars, some of the organizations noted have 2011 versions available now (or coming soon); the links have been updated to point to the new calendars. Animal shelter and rescue organizations and humane societies often create some very nice calendars; here's just a sampling. 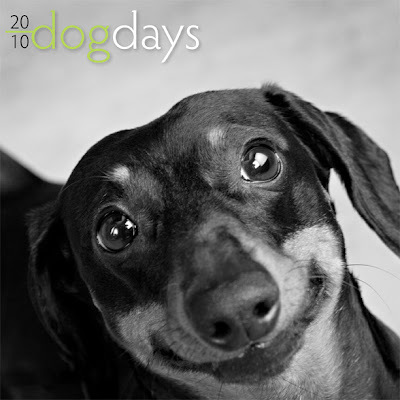 The Dog Days calendar above is created by Sutton Studios to benefit a number of agencies in the Chicago area. Update on Oct. 28, 2010: There doesn't appear to be a 2011 version of this calendar. 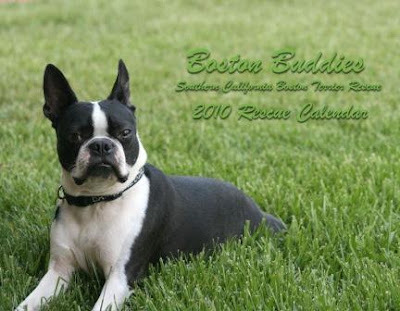 Boston Buddies comes from Southern California Boston Terrier Rescue. Check out the web site to see all the interior pages. Update on Oct. 28, 2010: There doesn't seem to be a 2011 version of this calendar, either. 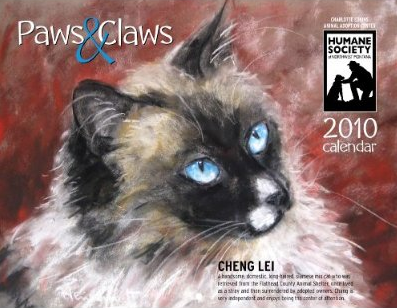 The Humane Society of Northwest Montana uses illustrations by artist Jane Kleinschmidt on its 2010 Paws & Claws calendar. Update on Oct. 28, 2010: This group does have a 2011 calendar, this time with photos by Harley Mumma. 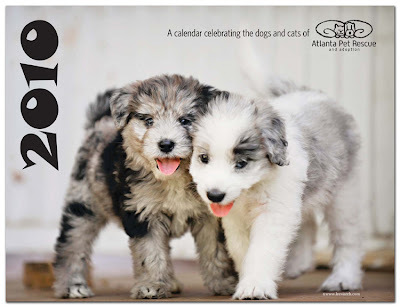 And the 2010 calendar from Atlanta Pet Rescue features the work of pet photographer Leesia Teh. Update on Oct. 28, 2010: 2011 calendars are coming soon. 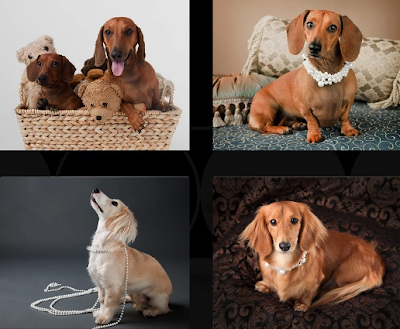 While I spoke about the Dallas-Fort Worth Dachshund Rescue Foundation's calendar back in November 2008, it's so stunning I had to show this year's, too. Update on Oct. 28, 2010: The 2011 calendar is equally compelling! 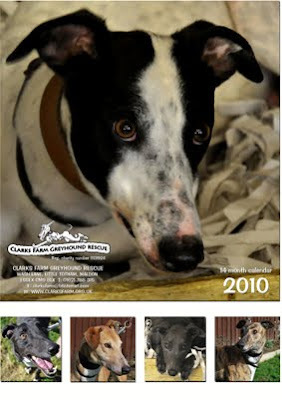 Clarks Farm Greyhound Rescue has produced its first calendar. Update on Oct. 28, 2010: There's no indication this group will be producing a calendar for 2011. And the Detroit Lions / Friends For the Dearborn Animal Shelter Pet Calendar looks like it will be pretty great, too. You can see the terrific photos from the photo shoot (which are copyright protected) at the Detroit Free Press web site. 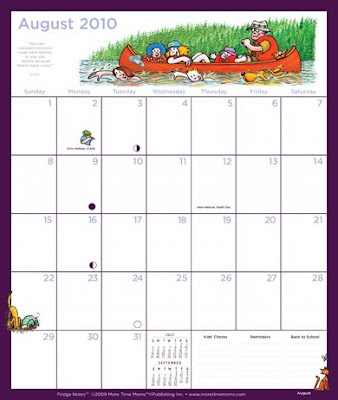 [via Nancy Nall] Update on Oct. 28, 2010: There's a 2011 version of this calendar available. Want to read some other good organizing blogs? 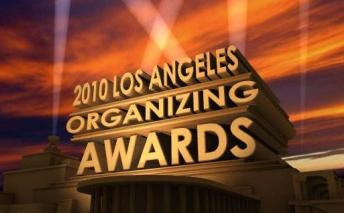 I'm thrilled to be nominated, for the second time, as Best Organizing Web Site or Blog; if you want to vote for me, login here and cast your ballot. You have until December 15, but why procrastinate? But I'm also thrilled to be in such good company. Three of the other nominees are blogs I subscribe to because of their consistent high quality. If you want to vote for one of them, you won't hurt my feelings! The Clutter Diet, by Lorie Marrero, offers much more than just a blog - but I'm going to focus on the Clutter Diet blog for now. Lorie has a way of taking good solid organizing advice and adding a telling story, or a turn of phrase, that makes me sit up and take notice. She also has sense of humor! - It's So Totally ME! 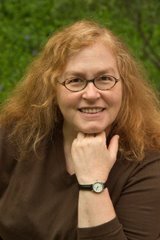 You can also follow ClutterDiet on Twitter, and read Lorie's great ClutterTweetTips! Simplify 101, by Aby and Jay Garvey, also offers more than a blog - but again, let's focus on Aby's Creative Organizing blog for now. Aby's everything I'm not - the scrapbooker, the one who will futz around creating lovely do-it-yourself labels. And this difference makes it so much fun for me to read her blog! You can also follow Aby on Twitter. Unclutterer, with editor-in-chief Erin Doland, covers a wide range of organizing issues. From the first moment I saw it, I knew it was bound to be a hit with readers. You can also follow Erin (and Unclutterer) on Twitter; I've enjoyed following Erin, and getting to know a bit more about the woman behind Unclutterer. 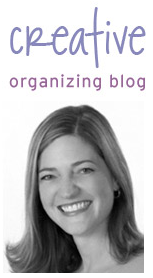 Looking for seasonal organizing-related items? I've found some pretty wonderful items over on Etsy; let's start with these coffee sack baskets by Brin & Nohl. 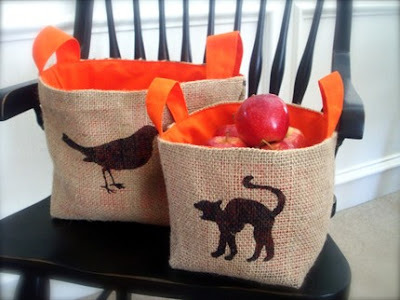 Update on Oct. 10, 2014: I'm no longer seeing any Halloween-themed baskets at Brin & Nohl. 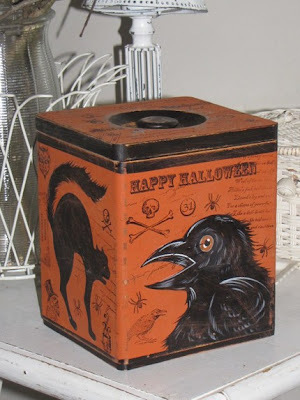 This handpainted vintage wooden box comes from Janie D Mattern's Halloween collection. 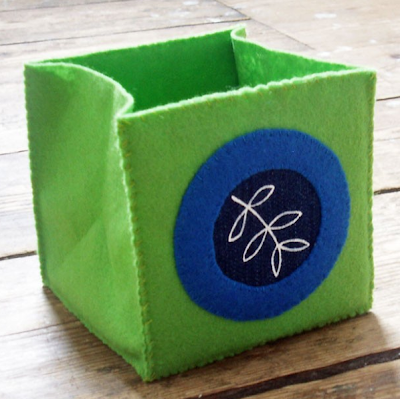 Update on Oct. 10, 2104: Janie no longer sells this style of box. 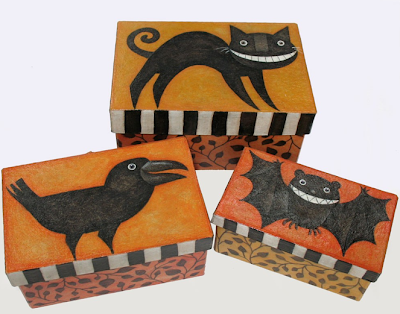 These handpainted nesting boxes come from Beth Logan's artstuff studio. 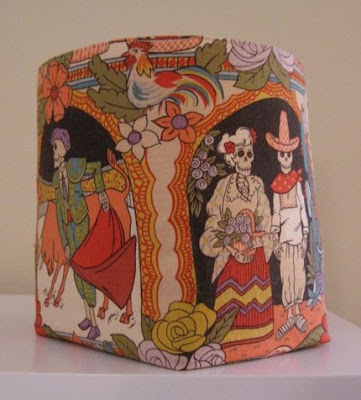 This Dia de los Muertos fabric bin from Nestings is made to order. Update on Oct. 10, 2014: Sadly, this store has disappeared from Etsy. 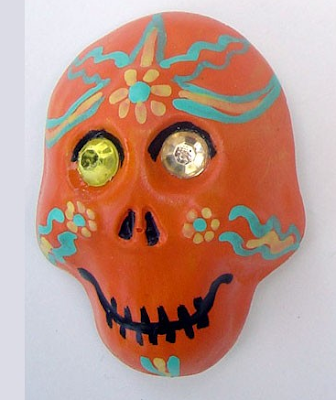 And finally, Herbis Orbis has an amazing collection of Day of the Dead skull magnets. Update on Nov. 1, 2009: Full disclosure: After this post ran, Anne of Herbis Orbis offered me a couple free magnets. This came as a pleasant surprise, and I accepted. The magnets are delightful! Update on Oct. 10, 2104: Herbis Orbis is not showing any products in stock, and may be defunct. Are you taking care of an elderly parent or other family member? That can become an all-consuming job. Learning how to manage the situation - including when and how to say "no" - is crucial. Caregiver stress can creep up on you as you gradually do more and more things to help your family member. It's easy to justify adding just one more thing to your groaning to-do list when it's to help your loved one. When you are doing too much, you will get signals from your body and your mind. 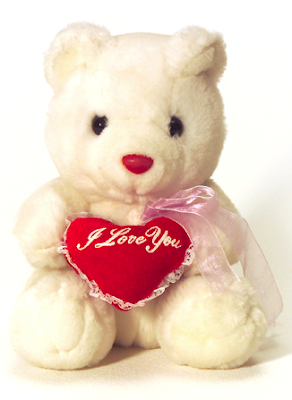 ... You may get feedback from family and friends who have noticed how you are changing and express concern. You may receive complaints from family or friends who feel neglected. Now what? You've thought things through and realized that maybe you do have caregiver stress. Looking at your situation may leave you feeling a bit hopeless. 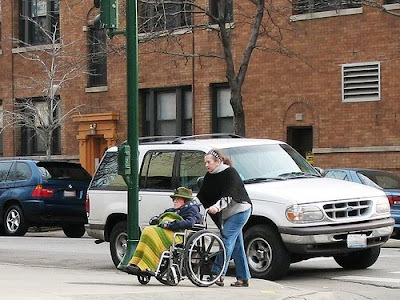 You can see clearly that your family member needs help; how can you possibly do less? In order to honor your commitment to help your family member, you have to seek the right mix of helping, taking care of yourself and using other resources. You can read the rest of this article, with Janice's specific advice, on her web site. She's a wise and compassionate woman! No one needs hangers like these - or any of the others in this listing. 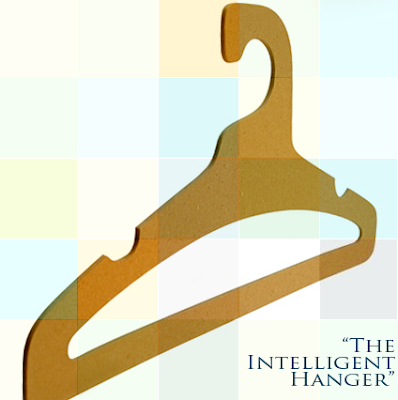 But it's interesting to see what some designers have done with something as basic as a clothes hanger. 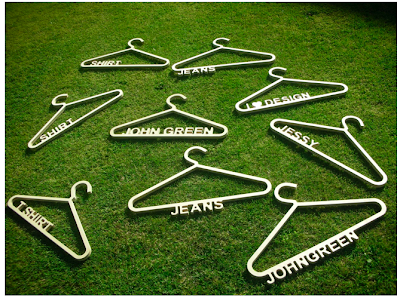 And these hangers from John Green are made from what would have been wasted material from his production of furniture. Update on Jan. 9, 2019: John Green is no longer selling these hangers. 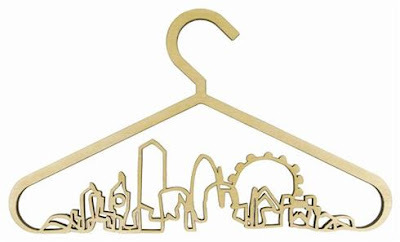 Seeing the John Green hangers reminded me of theses Cityscape hangers. 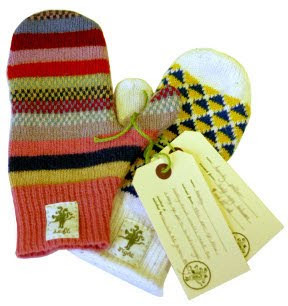 The original company which produced them is no longer in business - but they are back! 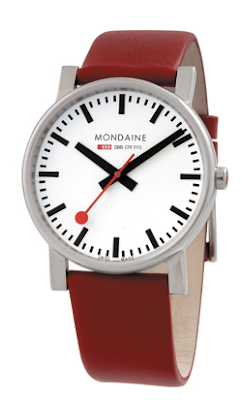 There's London (shown above), Milan, New York, Paris and Tokyo - and you can also get one custom-designed. Update on Jan. 9, 2019: These hangers are no longer available. 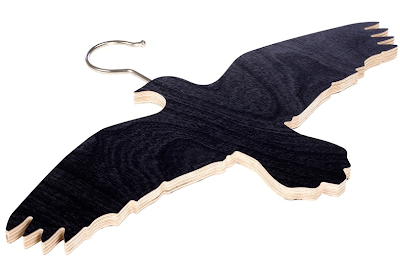 Ingibjorg Hanna of Iceland designed this bird coat hanger - which also comes in a trouser version. Update on Jan. 9, 2019: This hander is no longer available. 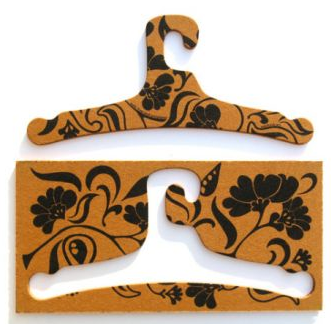 The Ditto hangers made from recycled paper come in lots of 100; they're intended for clothing retailers, dry cleaners, etc. [via Apartment Therapy] Update on Jan. 9, 2019: You can now buy these in 10-packs, making them something that individuals might buy, too. And then there's the Zilka hanger from Ryan Frank, made from recycled British newspapers. Bouf sells them in solid colors and patterns. 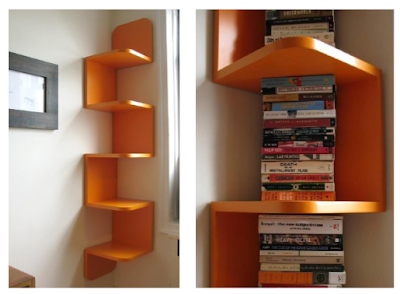 [via Apartment Therapy] Update on Jan. 9, 2019: I'm no longer finding any site that sells these. Here's one more picture from Lagolinea; the photos were too good to pick just one! 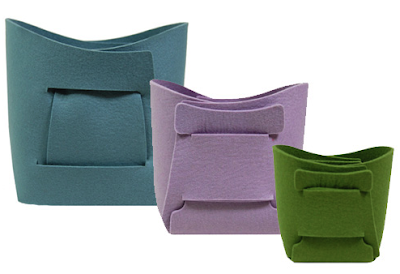 And if you have $3,500 to spare (or 2,700 euro) you could get Collect, from Normann Copenhagen; spring green is the only color. It's sold here and here.